Classic, vintage, or high-performance muscle cars require specialized mechanics to perform mechanical and upgrade services. You can’t trust just any auto repair shop to handle your precious classic or muscle car. 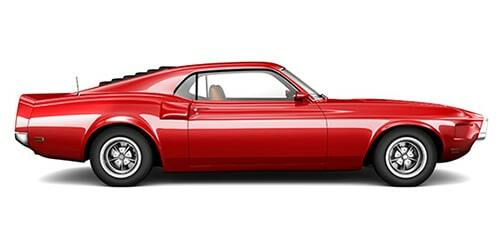 At Babcock Auto Care in Rochester, MN, we are the experts when it comes to classic and muscle cars. When your car needs a performance upgrade or just a tune-up, our ASE certified technicians are here to help. At our Rochester auto repair shop, our classic and muscle car specialists are experts when it comes to Ford, Chevy, Dodge, Chrysler, Buick, Pontiac, Oldsmobile, Mercury, AMC and other modern and classic muscle cars. From maintenance and repair, to restoration, to dual exhausts, you can trust that our experts can bring your vision to life. If your muscle car needs a more comprehensive evaluation or repair, we can help get it back to running in top condition. Before we make any repairs or replacements, we always consult with you and discuss what repairs or services need to be performed so that you can make an informed decision as to what should be done on your classic or muscle car.